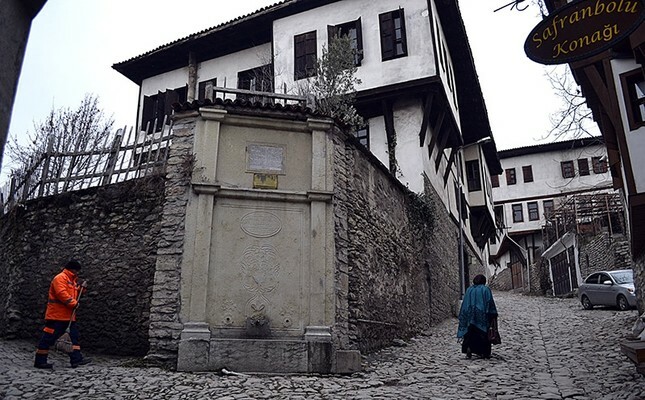 Historical fountains in the well-preserved historic town of Safranbolu in northwestern Turkey, dating back to Ottoman times, will undergo a restoration so that water flows again through its bibcocks like it did for centuries. Safranbolu Mayor Necdet Aksoy said that 48 fountains have been restored since 2009, while also noting that over years, as time passes, fountains inevitably corrode. In an effort to fix this problem, Aksoy announced that the Safranbolu Municipality developed a large restoration project for a total of 51 fountains. The Union of Historical Towns and the Foundation for the Protection and Promotion of the Environment and Cultural Heritage (ÇEKÜL) also take part in the project. Aksoy also said that the Governorate of Karabük province will allocate a budget of 450 million Turkish liras ($116.4 million) for the restoration. Being the first place in Turkey to be included in the world heritage list on the city level together with Istanbul, Safranbolu has also been listed as one of the best preserved 20 cities in the world. Thanks to its successful preservation of cultural heritage from the 18th, 19th and 20th centuries, the town's importance in the eyes of UNESCO has been increased. Safranbolu is home to many renowned buildings such as the Cinci Inn and Turkish Bath, Köprülü Mehmet Paşa, İzzet Mehmet Paşa, Dağdelen, Hidayetullah and Kaçak (Lütfiye) mosques, İncekaya Aqueduct, Old Government Office and Clock Tower, historical fountains and guilds. The city celebrates the anniversary of being included into the UNESCO list on Dec. 17 every year.